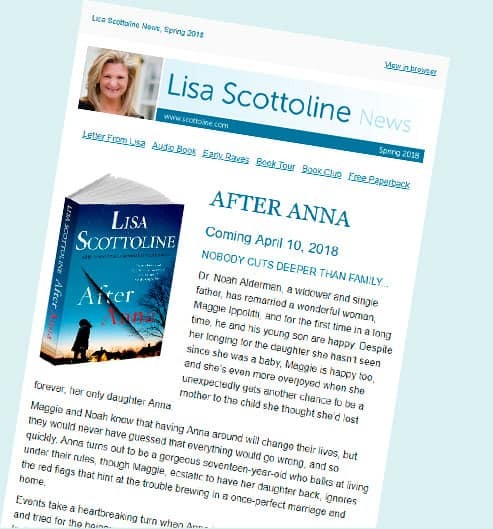 Lisa sends out a great newsletter about her new books, tour schedules, and special promotions, some of which are only available to newsletter subscribers. Please sign up! She’d love it if you do, so that you stay in the know and can take advantage of the offers. Existing subscribers: If you would like to make a change to your address or alert us of any problems with receiving the newsletter, write to Lisa here, making sure that “newsletter” is in the subject line. 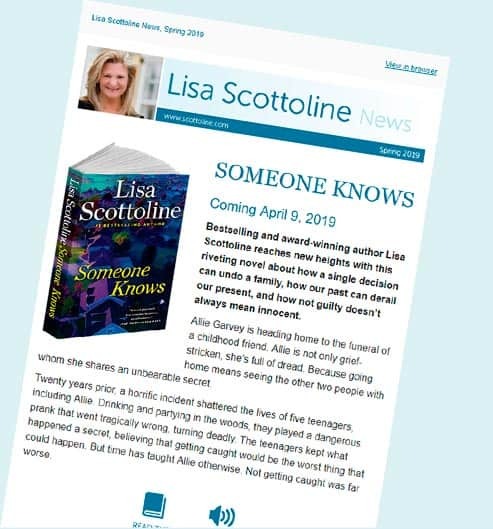 Lisa doesn’t want to clog your inbox or mailbox, so she won’t be sending out the newsletter too frequently—just when she feels she has news you will want to hear. To receive her email newsletter, please enter your email in the form below. To receive snail mail, enter your address. To receive both, fill the whole form out. Thank you!